Your choice of 14-karat white, rose, or yellow gold. Approx. 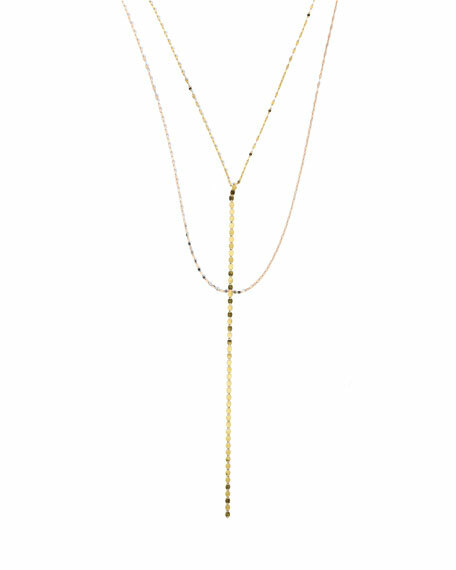 measurements: shorter chain, 16"L; longer chain, 21.5"L; 8"L pendant drop.